Happy New Year friends! I hope you had a wonderful holiday season to end the previous year on a good note and are already embracing 2012 for all the experiences and memories that await you in the new year. As for me, 2011 has certainly been pretty eventful with it's share of ups and downs. Joel and I kicked off a new culinary group geared to moms and kids in the kitchen called, What's Cookin, Mama. Together we had so much fun hosting various food events and kitchen playdates. I also had a blast traveling to Texas and Alaska to work with various food companies including Frito Lay and Copper River Salmon. It was also a great experience to meet and hang out with fellow food bloggers in San Francisco for a food blogger convention later in the year. Thankfully, there's also the kitchen. It's the place that helps me relax, be creative and feed those that are hungry, as we all know everyone must eat. I look forward to sharing more comforting foods and recipes in the new year, so stay tuned! I may not post quite as often as daily, since I've been working full-time while juggling a rambunctious toddler and other culinary projects the past couple of months... but I'll be posting nonetheless. The great thing is the kitchen I have now has much better lighting than my previous one and I can't wait to take advantage! Here's wishing you and yours a wonderful and happily delicious new year! Joelen, I am so sorry to hear about what is going on. You are in my prayers and you are SO right. Attitude is everything! You have had quite an eventful year in food! 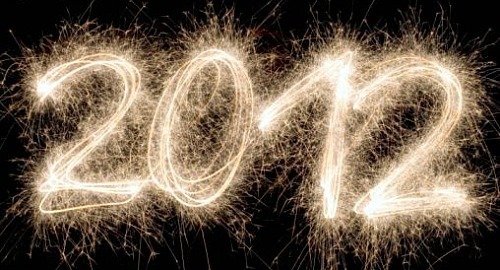 I hope 2012 brings only good things for you and your family. I think the quote on attitude is spot-on. I find it quite challenging juggling work and family, so I give you a ton of credit for blogging on top of everything else! I wish you the best. Successes without our cheerleaders are sad events. For just a minute whenever something good happens I want to call my father. Sadly I can't.